Yes, thats quite heavy. Need to check it practically. I started to test the motor (now only on the desk), but my 28BYJ-48 motor is shaking with AccelStepper library. With some simple code without included any library - working fine, so I will look why thats happening. Its very cheap project for 5-10€/window. 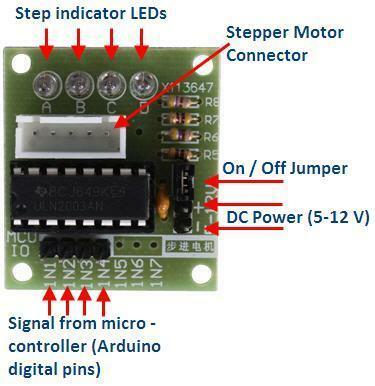 With 28BYJ-48 stepper motor you at least need 9v psu, it's even better with 12v. Hello, maybe someone was trying 8MHz bootloader for standlaone Atmega328p? It would be best if someone also could try to burn same bootloader on standalone Atmega328p and post results to be sure all wiring and steps I did is without mistakes. Strange if I I burn 1.3pre2 8MHz bootloader - it works. What troubleshooting I could make? Q1: Does anybody was able to succesfully use 8MHz MYSBootloader 1.3.0-beta.3 on standalone Atmega328p? All bootloaders I testing with Arduino BLINK example. Before that, I was burned my Atmega328p with 1MHz internal oscilator MYSBootloader 1.3.0-beta.3 bootloader and it was working. Also I was testing 8MHz internal oscilator MYSBootloader 1.3pre2 with fuses on 2 different Atmega328p standalone and I can upload sketch to it and test it. And this one cycle of *** --- *** --- *** --- ** - * - * - * - takes ~8 seconds. Could it be something with watchdog timer? I not very know about this setting. I have notice strange behavior with MYSBootloaderV13pre.hex 8MHz internal bootloader. Problem: When I burn MYSBootloaderV13pre.hex 8MHz internal bootloader to my Standalone Atmega328p i testing it with Arduino Blink and Fade sketches. Problem is that theese sketches doesn't work on this bootloader. LED is just always ON. I also tested the same sketches, same wiring, same Arduino Uno (5V when programming), same FTDI programmer (3.3V), same PC with Win 10 with same drivers, same Atmega328p with Nick Gammon Atmega Board Programmer when I burn Lilypad bootloader and then upload Blink and Fade sketches, they perfectly working. I tried same uploading with Arduino IDE 1.6.5 and also with the newest version 1.8.5. As a programmer I using Arduino as ISP. I theese tests when burning bootloader I don't connect external oscilator. With Nick Gammon software I also checked fuses for both Lilypad and MYSBootloader settings, becose i was thought it is becose of them. Once I configure wrong fuses and it had a lot of time to reset it to default value. Question: So now before changing fuses I want to ask maybe someone have been faced with similar problem? Compiled on Nov 30 2017 at 17:36:58 with Arduino IDE 10805. Compiled on Nov 30 2017 at 19:48:16 with Arduino IDE 10805. I appreciate any helpful info!